BIG IDEA: GOD CAN TURN OUR BITTERNESS INTO SOMETHING BETTER. 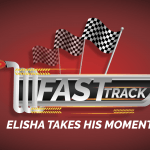 AIM: This children’s lesson teaches children that they have a choice. They can choose to allow their situations to make them bitter or they can choose to seek God so that the situation will be used to make them even better as people and as followers of Christ. 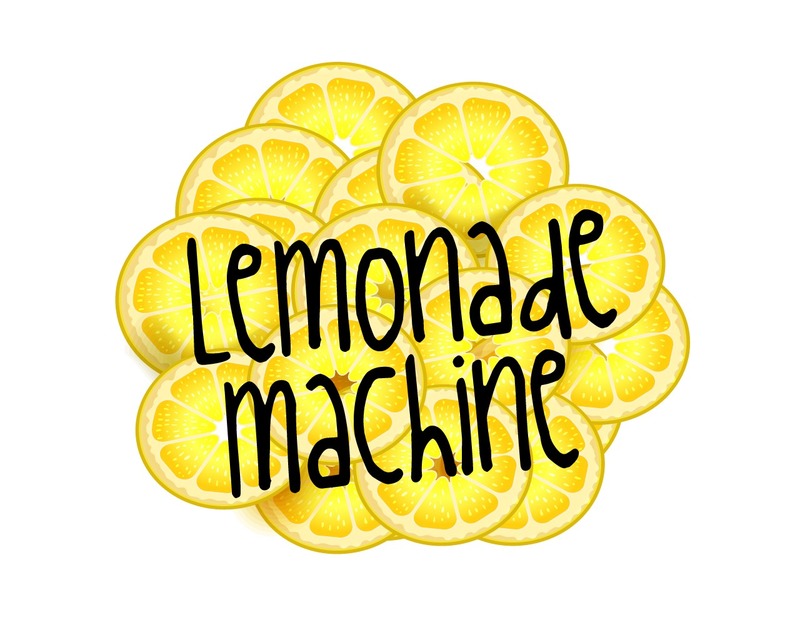 1) Lemonade Machine. Split children into teams. Each team has an empty jug and a jug of water with cups, cut up lemons and some sugar in a bowl on a table at the opposite end of the room. 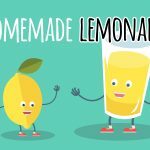 Children must run in turns to the table chew on some lemon, drink some water and add a little sugar to the mix. They whizz it around in their mouths and spit it into the empty jug. Then they run and tag the next child who runs to the table and so on. The winning team is the team with the most ‘lemonade’ in their jug at the end of the game. 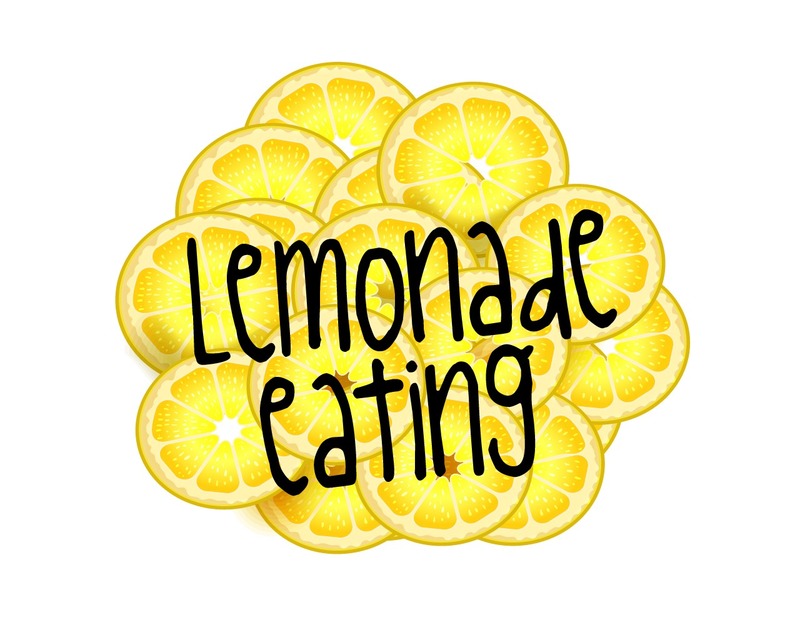 2) Lemon Eating. One on One game. Cut up a lemon for each player. Pick a couple of children that preferably like eating lemons. 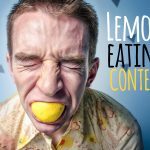 See how much lemon they can eat in a minute. 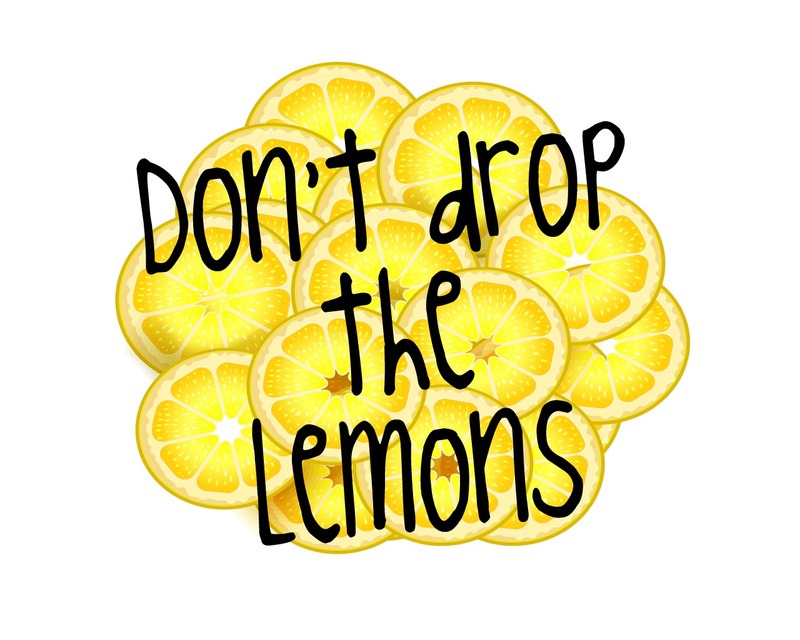 3) Don’t Drop the Lemons! Relay game. Players must transfer their lemons on a tray from one end of the room to another. Each player takes one lemon from the pile and must not drop it off their tray. If dropped they must run from the starting line again. 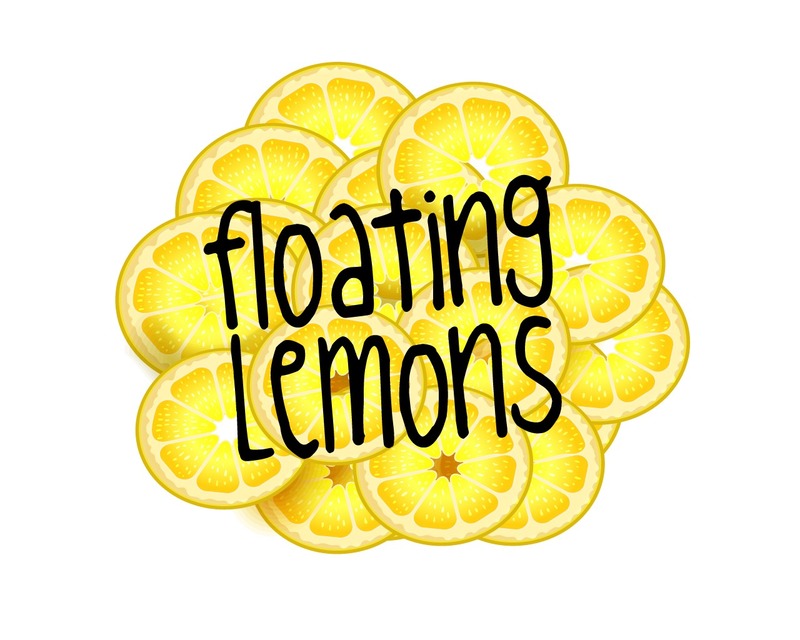 4) Floating Lemons. Contestants each have one bowl full of water and floating lemons and one empty bowl. They have one minute to transfer their lemons from the full bowl to the empty bowl. Use this as a relay game by blowing a whistle when the next player must begin. 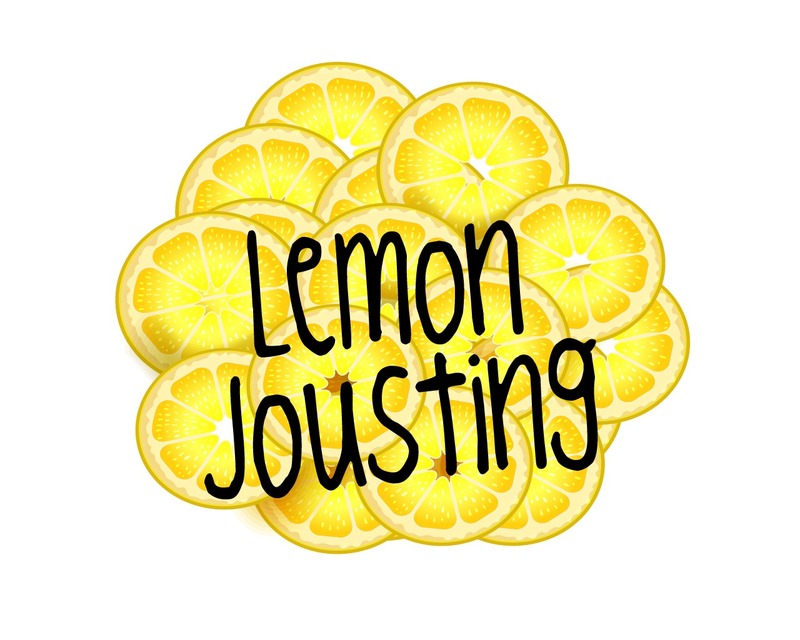 5) Lemon Jousting. Warm up game. Players have a lemon on their wooden spoon and must keep theirs on the spoon using another spoon whilst trying to knock their opponents lemon off their spoon. There should be no clamping down with your spoons – one spoon can be used to steady the lemon on the other spoon. The player left standing with their lemon on their spoon at the end of the time is the winner. View game here. Read Ruth 1:11-22 with your children. Have them take turns reading or act out the scene as you go along. You will need: Babies taste lemons video. If this video is unavailable simply find another video of babies tasting lemons via Youtube. Even though they really didn’t like the taste of the lemons some of the babies still wanted more. You know, that is what we can be like in our hearts. We can feel bitter towards other people or even to God. We may feel unpleasant towards them or Him, we may feel pain when we think of them or something we think they have done to hurt us. What we need is God’s forgiveness for people and to remember His love when we feel bad towards Him. Naomi felt bitter towards God. But God had not done anything against her or her family. Naomi and her family had left Bethlehem which means ‘house of bread.’ This was the homeland of the Israelites. It was God’s Promised land and a blessing to the Israelites. Yet during the famine Naomi and her family had left Bethlehem to go to a foreign land. They went to Moab – a place where people worshipped lots of different gods. Fake gods. Naomi’s sons married Moab girls – girls whose families worshipped other gods. The Father God had not done anything to Naomi and her family. When Naomi returned home she told her friends to call her Mara which means ‘bitter’ instead of Naomi which means ‘pleasant.’ She believed God had got angry at her and her family and had turned his back on her. She believed God had taken her husband and sons away from her. However, she didn’t see that God had given her Ruth to look after her all along! 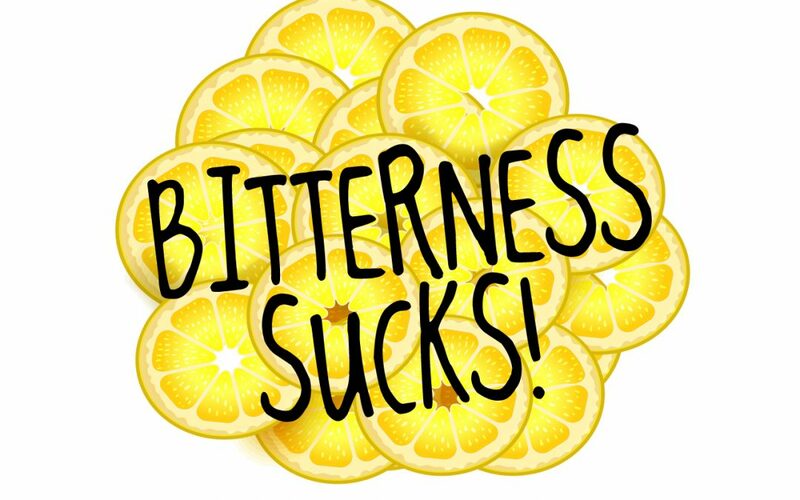 Just like the babies made those wincing faces when they ate the lemons, people would have felt like that when they hung around Naomi because bitterness is NOT pleasant. That’s right, bitterness is NOT pleasant. So bitterness is the opposite of something that tastes good and sweet. God doesn’t want us to be bitter. He wants us to be pleasant, by forgiving those who hurt us and realizing that God loves us and wants to forgive us when we think wrongly about Him. You will need lots of balloons and the bible verses all printed or written on slips of paper. Have a number of balloons all around the room with scriptures written inside (you will need to prepare these beforehand). Have children pop the balloons and find the scriptures with sweet references – not bitter. (They can get points for sweet references and minus points for bitter references. Have some balloons empty also) Discuss how God is good, He gives us good things and He doesn’t want us to feel bitter towards Him or others. But if you harbor bitter envy and selfish ambition in your hearts, do not boast about it or deny the truth. James 3:14. You will need to print sheet 1 for younger children and sheet 2 for older children. Imagine what it must have been like to have your husband die and then both of your children too. That’s difficult to imagine isn’t it when you don’t have those people in your life…. but what about if your 3 closest friends died? Well, for Naomi it felt like her whole world had died. It was like 3 of her closest friends dying – but even more, they were her family! Then Naomi went back to Bethlehem. 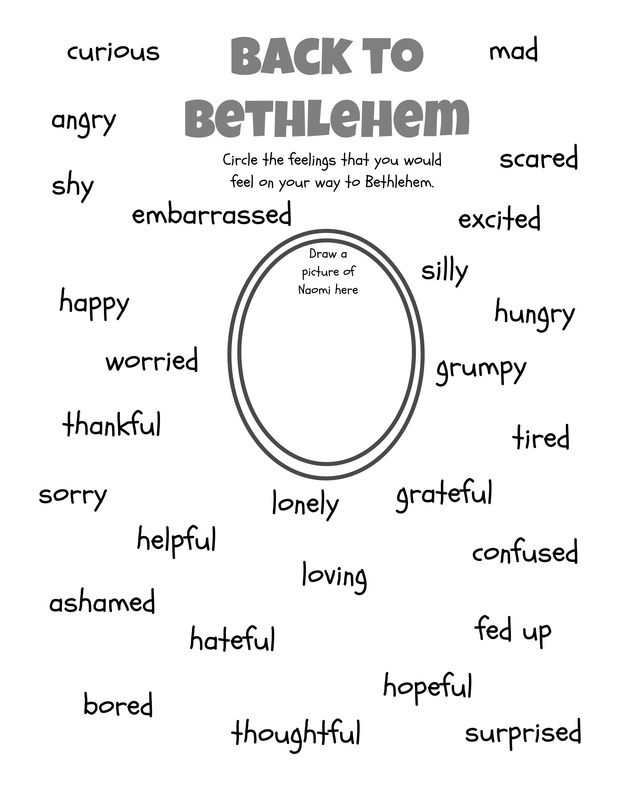 Now without changing the story, think about how you would feel if you were now traveling back home to Bethlehem. 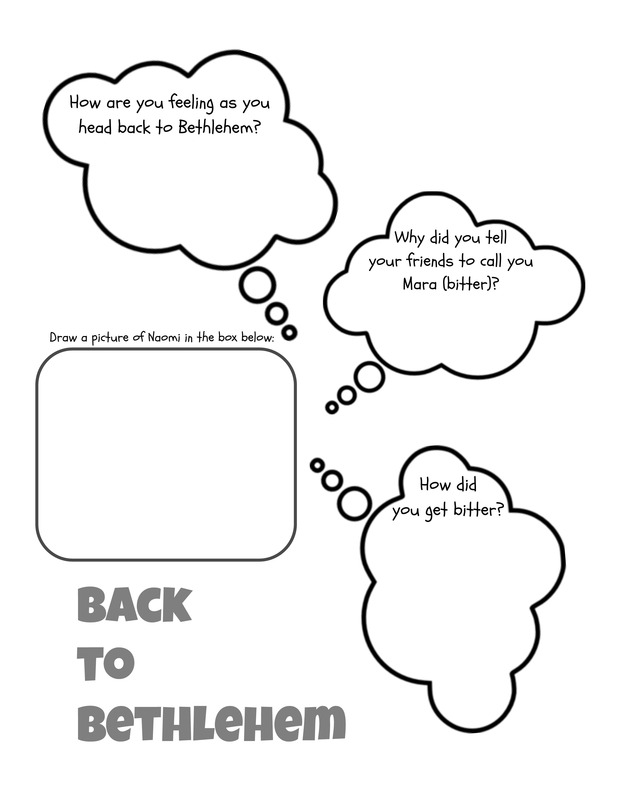 Get children to answer the questions on their sheets. The sheets ask about how they would feel on their way to Bethlehem. One is for younger children (circle the feelings) and the other is for older children. Discuss what makes us go bitter. Remember, it begins with allowing our heart to feel a little bitterness and then dwelling on it. You will need some limes or lemons and some candy. Have children first taste the limes and consider those things that they may have been feeling bitter about. Ask children to speak to God about this feeling and how He can help them overcome it. Then let them taste the candy and consider how God helps them overcome bad feelings. Remind them of the positive scriptures about God.